Take it easy with Rieker 53851-00. This comfortable little slip on showcases the ease that Rieker is famous for, with it's double zipped upper, premium leather material, and small sassy heel. This bold little shoe will have you showing off your sass all day while still having the most comfortable feet on the block. 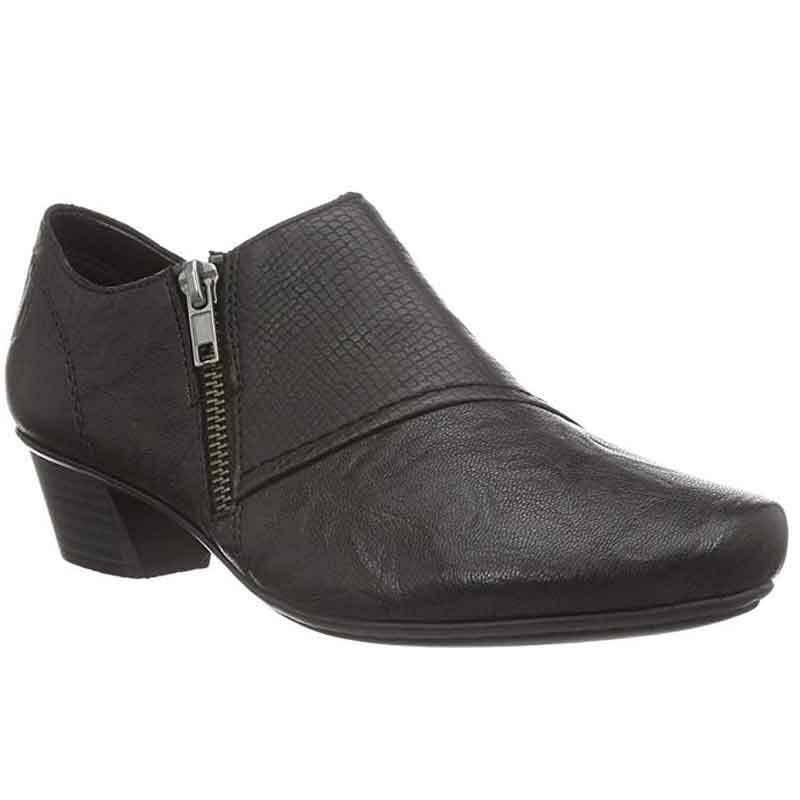 The lightly cushioned insole will allow you all the ease of mobility while still providing a cushy walking experience, while the stacked heel give you a stylish look while not making you unstable. Zip into comfort and be audacious with Rieker!